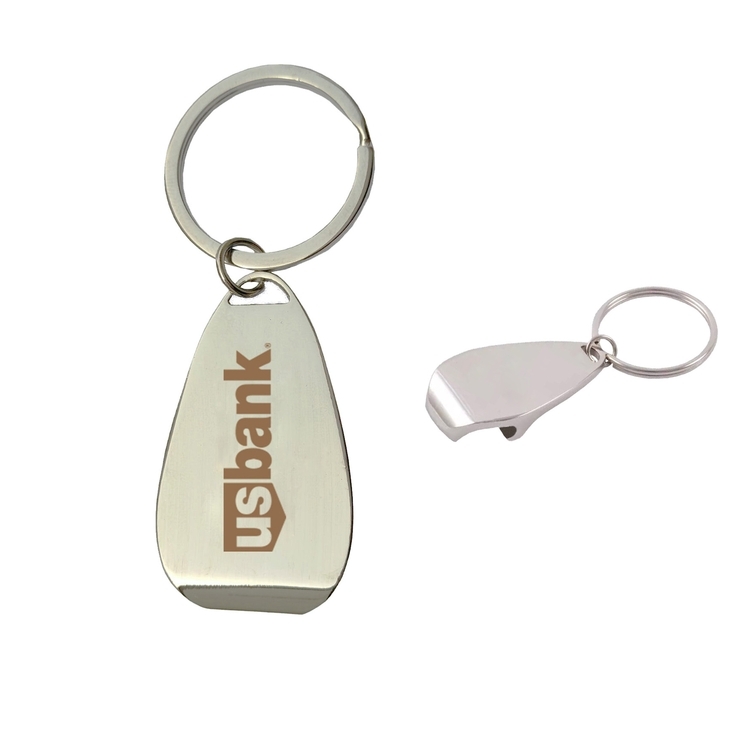 Sturdy chrome metal bottle opener with key holder. plenty of room for your logo or message. Pocket sized for easy carrying and use. A must for bars, restaurants, taverns, pubs, and more to make your event rock and cheer up everyone! 2 " x 1 1/5 "